A couple of episodes featured Laos cuisine and dill features prominently in them. After drooling over I had to go out and buy some. Dill never featured in my Mom's kitchen and a few times that I tasted it elsewhere, I didn't like the taste. Over the years my taste buds have evolved and I really wanted to give it another try. 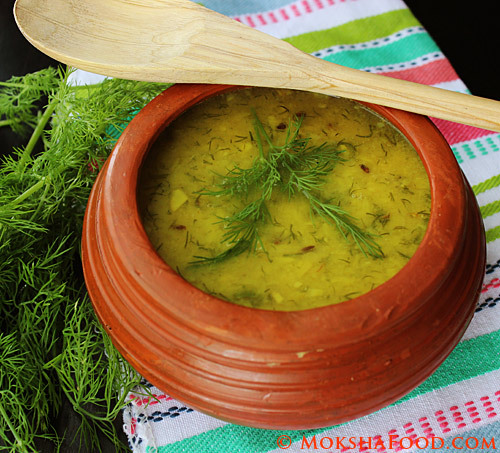 Dill is also known as Shepu or Suva in different parts of India. Its a strong lemony flavored herb. For people trying it for the first time, use enough to get the flavor but not overpower the recipe. 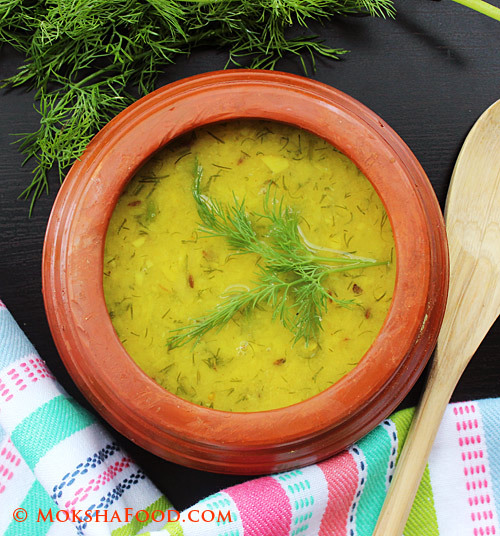 My family and I loved the flavor of dill and will be using it in many more recipes. 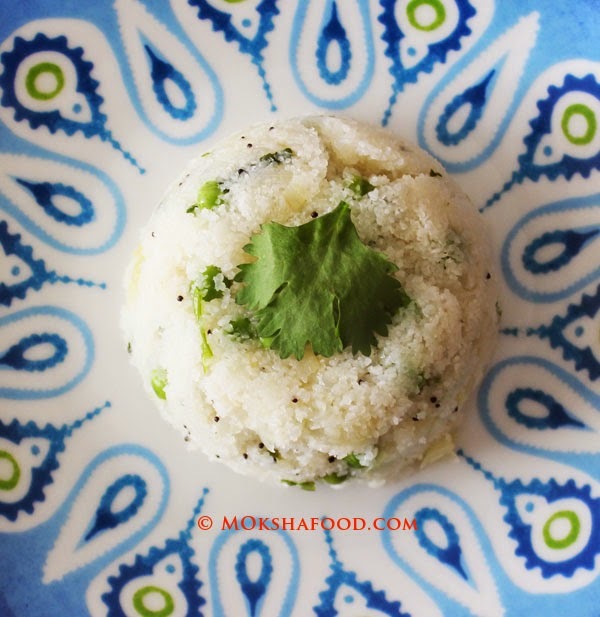 This recipe has been adapted from ShowMeTheCurry website. Wash the yellow moong dal well and drain the water. Heat the oil on medium heat in a large saucepan. 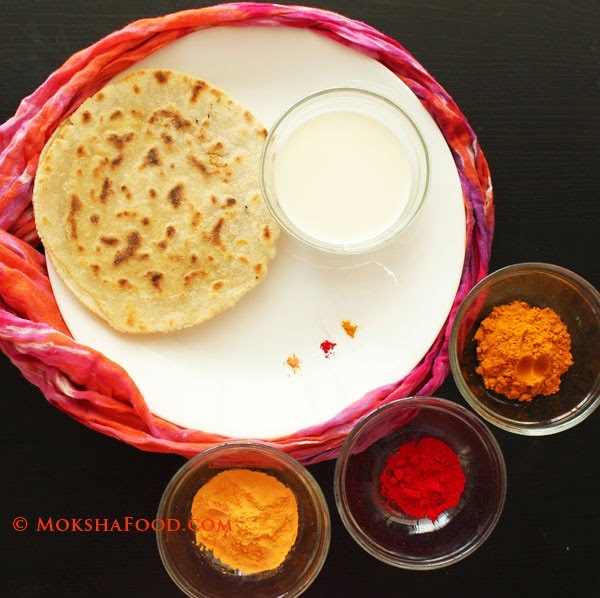 Temper with cumin seeds and asafoetida and let them sizzle for a few seconds. Add in the green chilli and garlic and saute till the garlic is lightly browned. Add turmeric powder and then the washed dal. Add chopped dill leaves, salt and about 3 cups of water. Cook the dal till its done. 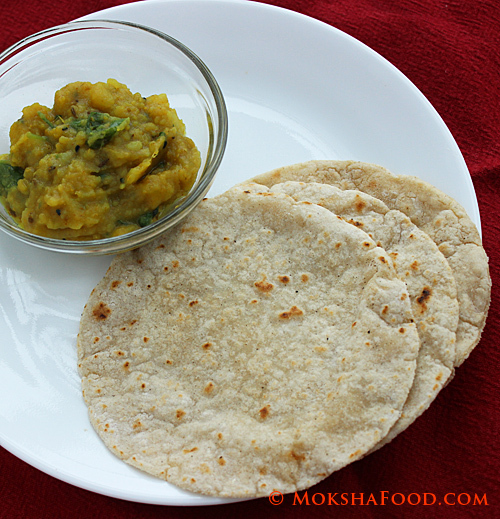 You can choose to cook till the dal holds it shape or disintegrates. Taste to balance the flavor. Pour the lemon juice on top and serve hot with Rice and any stir fried vegetables.